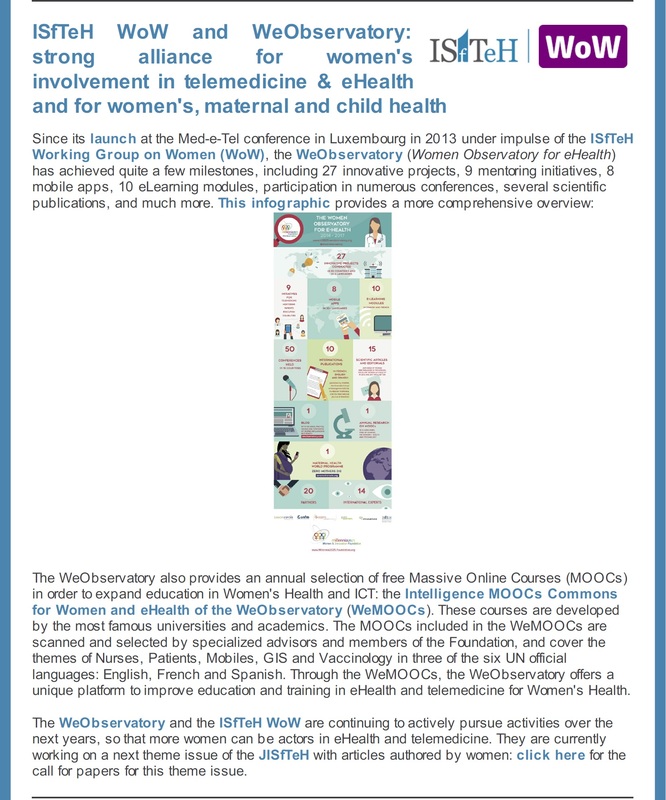 The Millennia2025 “Women and Innovation” Foundation is an institutional member of the ISfTeH since the creation and official Launch of the Women Observatory for eHealth (or WeObservatory) at Medetel in Luxembourg, April 2013. 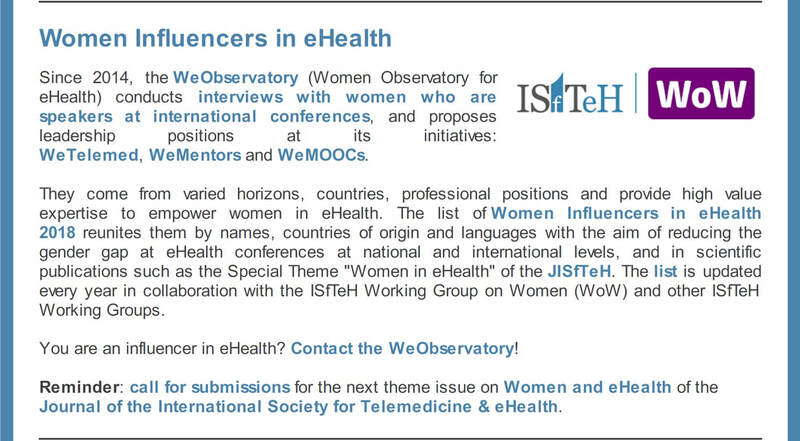 As the co-founder of the Working Group on Women (ISfTeH WoW), the WeObservatory with its partners have published two special Issues at the JISfTeH on "Women in eHealth", with a woman as first author, in 2015 and 2017. 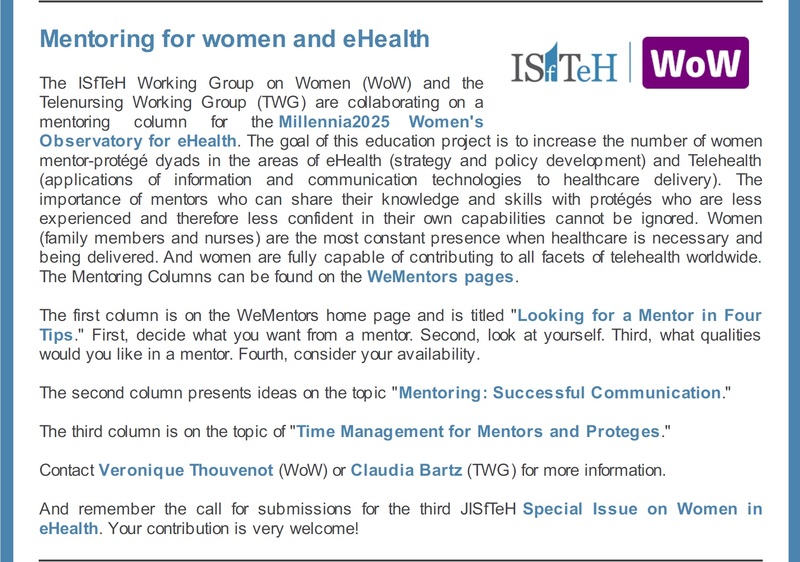 The next issue is planned in 2019. 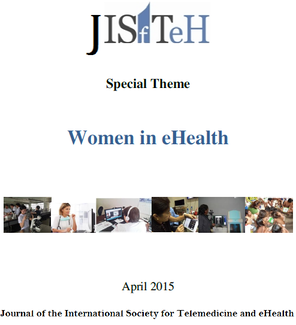 Read the articles written by our nurses, Michael Dino, Philippines, Lady Murrugarra, Peru and José Coté, Canada.